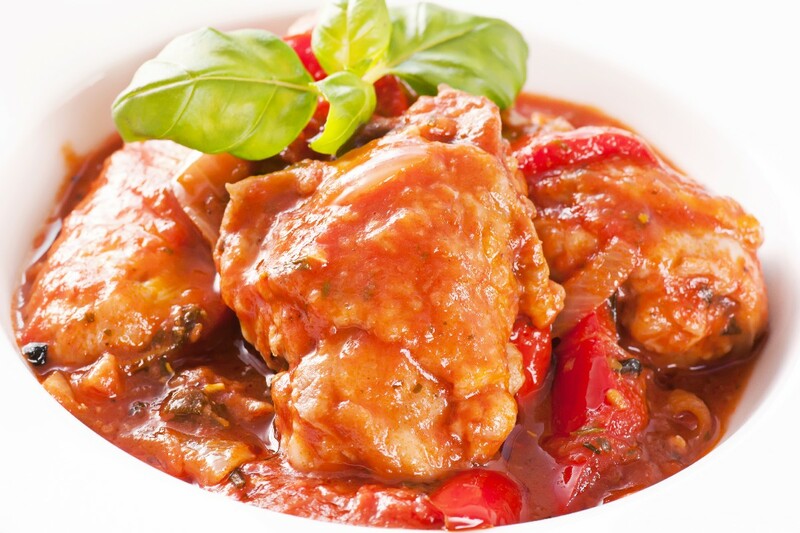 Stir it up good and nestle about 6 frozen, boneless, skinless chicken thighs into sauce. (Individual pieces, not one big clump) I prefer thighs–they stay nice and moist-unlike breasts. Lay whole fresh mushrooms on top of sauce. (I don’t mix the mushrooms into the sauce to cook as they get super soggy…ew!) Before serving, I remove the mushrooms, slice ’em up and then add back to the chicken and sauce. Cook in crock pot for 6 hours on HIGH..(maybe 8 or 9 hours on LOW?) Serve with parmesan and sliced olives over pasta. I made this yesterday and the house smelled FANTASTICO when we all got home!